All who have a special need to know the love of God during this time. Carnell Hampton, moderator of session. Buddy Bach, moderator of session. (First, Sumter) Columbia Theological Seminary. Marcy B. Carl(Georgetown) Dubuque Theological Seminary. If your congregation is planning an event you would like to advertise, please submit information, to Avery Dickson by Monday of the week you want it published. If your congregation has participated in a mission project or trip recently, we would like to share it with our presbytery. Please submit the information to Avery Dickson. April 27, 9 am, Congruity Presbyterian Church. May 2-3, New Life Presbyterian Church, College Park, GA. There are two constants in life: change and Jesus Christ, who is the same yesterday, today and tomorrow. In Christ, we live and move and have our being. To be a follower of his is to be forever mindful of the cross, of death's defeat - and of resurrection power. And, as Wendell Berry wrote in one of his well-known poems, "Manifesto: The Mad Farmer Liberation Front," we, the church, are to "practice resurrection." Most congregations receive "OGHS" on Easter Sunday, Passion/Palm Sunday or both, while many receive it throughout Lent-however, you can help sustain the important PC(USA) ministries and programs that are supported by One Great Hour of Sharing Offering by making an online gift at any time throughout the year. Checks may be sent care of Presbyterian Church (U.S.A.) to P.O. Box 643700; Pittsburgh, PA 15264-3700. A gift to One Great Hour of Sharing enables the church to share God's love with our neighbors-in-need around the world by providing relief to those affected by natural disasters, provide food to the hungry, and helping to empower the poor and oppressed. Find an interactive world map with One Great Hour of Sharing recipients here. View a one-minute sermon on One Great Hour of Sharing. The gospel of Matthew tells the story of a man who entrusts a large amount of money to each of three servants and then goes on a journey. When he returns, he calls the servants for an accounting. Two of the servants have invested and made a profit. They are praised and rewarded. The third servant, motivated by fear, has buried the master's money in the ground for safekeeping. This servant gets a scathing rebuke and is thrown "into the outer darkness, where there will be weeping and gnashing of teeth" (Mt.25:14-30, NRSV). What did this third servant do wrong? The story seems to say that he was judged harshly, not for losing the talent, but for failing to do anything with it. Fear of failure kept him from investing what belonged to the master for the master's purposes. For this he was thrown into the outer darkness. Get the latest news from the PCUSA! Get the latest news from the Compassion, Peace & Justice. There were a few errors in the Presbytery Directory posted last week. Here is a corrected version. For more information contact: Mrs. Ponteola Wilson, Moderator (843) 260-2978. Each Presbytery is requested by the Synod to donate durable, quality items for the PDA hygiene kits. New Harmony PW is requested to donate Band Aids or other adhesive strips. Please bring or send these items to the Annual Gathering. To share with others, download the flyer. Welcome Our New Financial Administrator, Soon-To-Be! Marilyn Morrison, pictured right, was approved by Guiding Council as the person to be the Financial Administrator of New Harmony Presbytery upon the retirement of Elise Walker in May. Marilyn and her husband, Tim, recently moved to Florence from Chattanooga, Tennessee, as a result of his new job with Harbor Freight in Dillon as an Area Manager. They lived in Chattanooga for 20 years and were ready to move closer to the beach, which they both love to visit! Marilyn and Tim have two children; their daughter Stephanie is married, living in Greenville and their son Andrew remains in Chattanooga. When in Chattanooga, Marilyn was the Financial Administrator at Concord Baptist Church for the past six years. She enjoyed her job very much and was excited to see the job posting for our Financial Administrator. Both she and her husband are happy to be in Florence and Marilyn is thankful for the opportunity to be a part of the New Harmony Presbytery, serving it and its congregations! In early May, Elise will complete 30 years of service as the Financial Administrator of NHP. 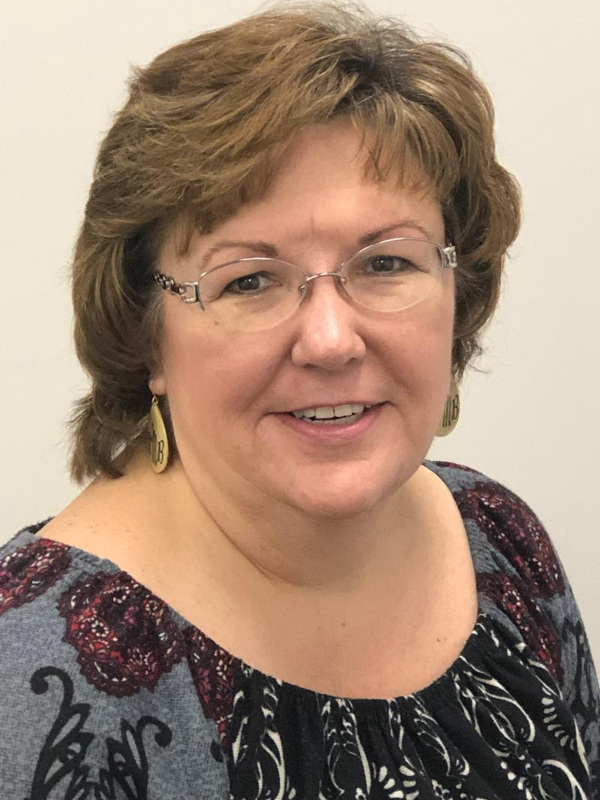 We will officially celebrate that dedication and service, give thanks and say goodbye to Elise at our Stated Meeting in First, Hartsville on May 22. Between now and then, be sure to say thanks to Elise even as you give welcome to Marilyn! Who are the Kids at Camp Pee Dee? Sometimes it is healthy to stop...and remember what it was like to be a kid. Those were the care-free days that you didn't realize were care free, until you grew up and started paying the bills. But the students of the Go Virtual School in collaboration with St. Paul's Presbyterian Church in Hemingway helped certain "church ladies" and "old folks" rekindle a little fun at their annual Camp Pee Dee retreat. On the second weekend of March, 18 middle and high school kids reminded a few from St. Paul's how to enjoy playing outside again, by not letting a little rain or the mud puddles get in the way. They helped us enjoy a movie and eat our weight in popcorn. They helped one (not to be mentioned) church lady's car out of a Camp Pee Dee ditch. The kids of Go Virtual School helped us study and discuss what the Bible has to say about serving others anonymously. As "secret service agents" we had to decipher a multitude of codes in a Camp Pee Dee campus wide scavenger hunt. Those kids were also experts at cracking the code of an "escape room," so they showed us how to do that, too. We grown-ups had also forgotten how to peel off a "charcoal with sparkles" facial mask until the girls showed us, and promised not to put the pictures of Dr. Lisa on Facebook. Then, they rushed to the rescue when we got stumped by Mr. Scott Jensen's magic tricks, especially the "guess the number" one. Those kids made Sunday morning worship fun with a skit message, Mission Possible: Serving Others in Need, and then by repeating it and taking part in the service on Youth Sunday at St. Paul's. And finally, the kids showed us old folks how to welcome Mr. Scott Jensen with hugs when he came to worship at St. Paul's 3 weeks later. At Camp Pee Dee, kids helped us grown ups rekindle the wonder that is God, both in creation and in each other. Hope you will check out your options at www.camppeedee.org to register. Discounts for siblings. Bring a friend to camp gift and there are scholarships available. Come enjoy God's awesome creation. Church camp experiences have molded many young women and men with the Christian community experience they provide. 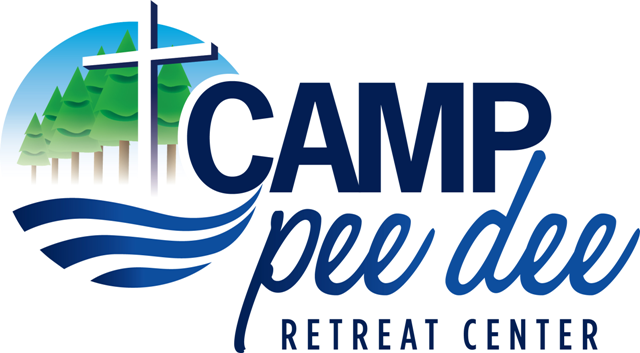 Katie Bryant and Scott Jensen are working diligently to provided an exciting, fun-filled, Christian experience that will help deepen the faith of those who attend Camp Pee Dee Retreat Center this summer. If you want to provide an experience for your children that just might change their lives, consider sending your children, grandchildren, or children in your community to Camp Pee Dee Retreat Center. To find out the exciting opportunities at Camp Pee Dee Retreat Center, download the Summer Camp brochure. Contact Kaiti or Scott with any questions. Oversee maintenance of site & facilities, ensuring that site & facilities are maintained and repaired as needed. Oversee landscaping of site & facilities. Ensure trash collection and removal. Provide reports and updates as requested. Working with the director to maintain budget management. Other duties as assigned or requested by Camp Director. Compensation/Benefits: Annual salary of $ 30,000 - $34,000.00 working a minimum of 40 hours per week. Vacation/personal days of five (5) days approved by Camp Director. Ordinary vacation will not be used during the time period of May 15, 2019 - August 15, 2019. Under extraordinary circumstances may be considered. Additional paid holidays of Good Friday, Easter Monday, Memorial Day, Independence Day, Labor Day, Thanksgiving (Thursday and Friday), and Christmas week. Employee may participate in Health Care Flexible Spending Account and Board of Pensions Retirement Savings Plans and/or optional benefits through the Board of Pensions (currently dental, vision, life, disability) at the employee's expense. For more information, please contact Scott Jensen, 843-479-3051, scott@newharmonypres.org. Camp Pee Dee Retreat Center has developed a GO (Gift Opportunity) List. On the list are items which Camp Pee Dee Retreat Center could use to enhance its ministry. The list is set up as a bulletin insert. Please download the list and place it in your bulletin/newsletter to help Camp Pee Dee Retreat Center with some of its needs. Camp Pee Dee Retreat Center is in need of a cook, counselors, support staff (help in the kitchen & dishes, life guard, help set up activities, mow and more). A new painted entrance to the camp will welcome you when you arrive. This was done by Bethany and Geoff Whitworth from Bismarck, ND. They are traveling with their RV. They learned of the opportunity to be in service from a mutual friend of Scott. Come and see what else is new (there are many little things to see). Do you have a gift or talent that you have always wanted to share at and with campers? One example is: We have this telescope and a great field to use it in but not any skills to share any knowledge, maybe you do?! Do you have knowledge of the local horticulture that is growing in and around the camp. How about the wildlife that we might see? Folklore of the area? Love of fishing? The list is only limited by you. Contact Scott Jensen for more information or to volunteer to help. Scott Jensen, from Albert Lea, MN served as director at Storm Mountain Center, a United Methodist camp & conference center near Rapid City, SD for 17 years. Scott retired from that role in November 2017. Scott, a U. S. Army veteran, has been working for the state of South Dakota's Department of Labor, dealing with military veterans employment issues, since his retirement from Storm Mountain Center. Scott has been married to Dyla for 31 years; they have a blended family of four sons. Their sons are all married and live in Blue Ash, OH; Kansas City, MO; Portland, OR and Minneapolis, MN. Scott and Dyla have 7 wonderful grandchildren. 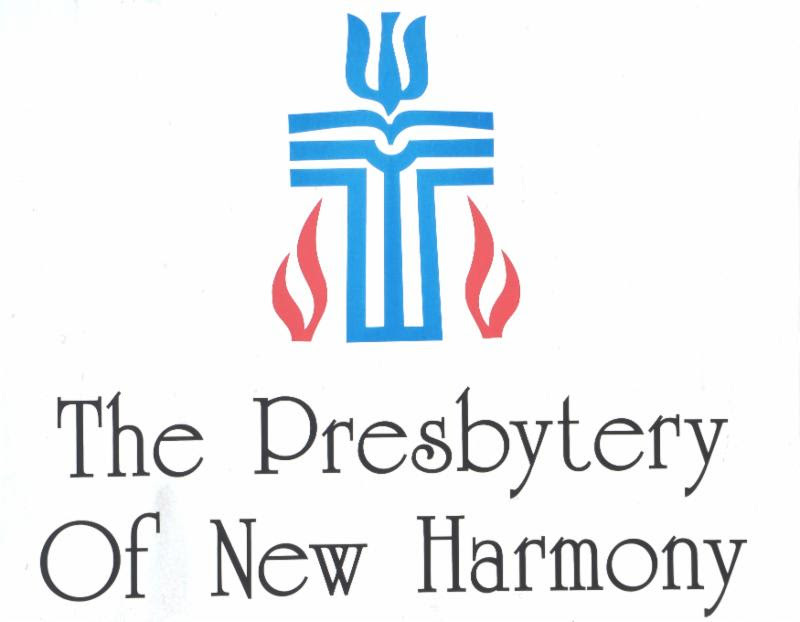 Scott looks forward to assisting in moving Camp Pee Dee forward and working with all of New Harmony Presbytery. Scott began as Interim Camp Director on January 1, 2019. Benefits Connections gathering on May 9 at Davidson College Presbyterian Church. If you are a church business administrator, office manager, clerk of session, personnel committee chair, pastor or mid-council leader, consider attending. Go to the link below to register, or go to pensions.org and search "Benefit Connections"
Registration is open for the 45th Biennial National Black Presbyterian Caucus, June 27-29. This year's theme is "Seeking Racial Justice & Equity! Where do we go from here?" The conference will take place at the Atlanta Marriott Buckhead Hotel and Conference Center. To download the packet, click here. If you need more information, email Judith Murphy at jmurphy135@gmail.com or call (803) 315-0410. View the Book of Common Worship sets here. Please view this link to learn information of value to congregations, especially concerning tax law, One Great Hour of Sharing, Pentecost Offering, etc. This should be especially useful for ministers and clerks of sessions. 2019 Theme: "Movement: Mission, Body, and Justice"
Join other youth leaders, directors, and pastors April 23-26 on the campus of Princeton Theological Seminary for a 4-day youth ministry conference. We believe that lives and communities will be transformed when theological reflection meets practical application. For more information visit iymforum.ptsem.edu. Ministers who are a member of one of the five presbyteries of the Presbyterian Church (USA) in South Carolina may stay in the William Brearley Home for up to one week or seven consecutive days each year at no charge. If the minister wishes to stay in one of the Kirk Apartments, the fee will be the difference between accommodations in the William Brearley Home and accommodations in the Kirk Apartments. Mission does not belong to us; it belongs to God. God invites us to participate in God's global mission, across town and across the world. Whether your congregation is planning to go on a short-term mission trip, study tour or partnership delegation, the new Short-Term Mission Trip Toolkit has resources to help trip leaders and participants prepare to engage in cross-cultural travel trips. To learn more, visit pcusa.org/toolkits/short-term-mission. Presbyterian Disaster Assistance offers one-stop shopping for scheduling mission trips, work and lodging HERE. Your "Home in the Mountains," South Carolina Inn at Montreat, has their 2019 Brochure available. You may access the brochure here for the latest information. 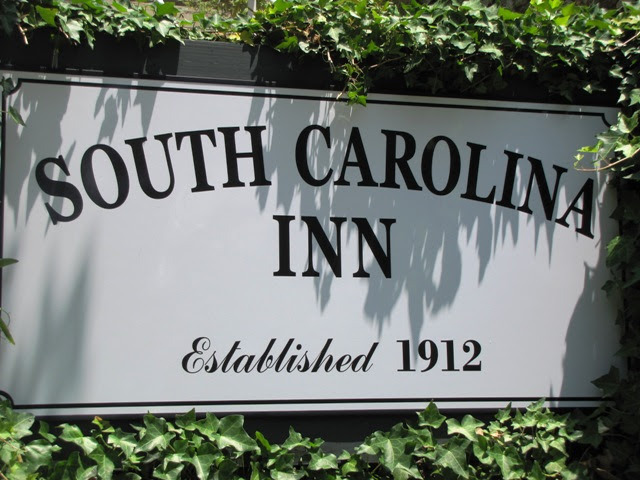 Visit South Carolina Inn for your housing needs in Montreat, whether for a conference, or to enjoy the mountains and explore the area. This course is for individuals who are considering ministry in temporary settings (as an interim, transitional or designated pastor) or are experiencing ministry in these transitional times. Materials presented will include the basics of transitional ministry and will be of value to all congregational pastors regardless of ministry setting. This course is the second part of the transitional ministry education sequence and is tailored for those who want to go deeper, and who may already be serving in a temporary position. Prerequisites: Completion of Week 1, ordinarily between six months and six years prior (or by prior approval of the faculty team leader) and the completion of assignments provided upon registration. This course is designed for experienced transitional leaders who are interested in serving in wider councils of the church. This course is designed for individuals whose spouse maybe considering or engaged in transitional ministry. Spouses learn in a retreat-like atmosphere with learning opportunities to understand transitional ministry and ample free time to hike, read and relax. For further information, dates, and places, click here and click on the pdf symbol in the middle of the page. "The Art of Yes and..."
Once again, it's time to start planning for Montreat Youth Conference. Registration for the 2019 conference is open now, and we can't wait to see familiar and new group registrations coming in! If you have the need to advertise a job position or promote a church function, please send the relevant information to presbyeducator@gmail.com. Trinity Presbyterian Church is looking for a part-time accompanist to play piano for the choir and play with the organist for four Sundays a month, plus special services when needed. If interested, please contact Dr. Diane Scroggins, Director of Music and Arts, Trinity Presbyterian Church, Surfside Beach. Phone: 843-650-0313. Board of Pensions has three positions for which we are actively seeking the best and brightest within our denomination and we need your help finding them. All three positions serve on our Church Relations team. This is the team of Church Consultants, like me, who live and work alongside you. We serve presbyteries, congregations, pastors, and church staffs for our designated region. Details of the positions are linked below. If you know someone within your presbytery that fits these descriptions, demonstrates the skill and care you'd appreciate from the role, and may be open to a new call and relocation, please let me know. Feel free to forward these links to potential candidates as you see fit, as well. If you have any questions, please contact Elizabeth Little. The Board of Trustees of the South Carolina Inn at Montreat announce the search for an Interim House Manager. Anyone interested, please email your resume to Cynthia Wilson -- cpwils210@aol.com. Williamsburg Presbyterian Church in Kingstree is seeking an organist/pianist and adult choir director to begin in February, 2019. The active, energetic adult choir meets on Wednesday evenings before church supper and Sunday mornings before worship to practice. The congregation is blessed with a Moeller organ. This part-time position has a negotiable salary. Resume' should be sent to wmsbpresbyk@ftc-i.net or 411 N. Academy St., Kingstree, SC 29556. If you need financial help to attend PCUSA worship and/or spiritual conference, scholarship help might be available. Contact Julie Cox for more information.